The State competition got off to a smooth start. We started off by setting up our pit and actively scouting the other teams. We were also the first team to get our robot inspected, since we didn’t want to have to rush later or have it overlap with our judging session. Once the actual competition started, we had a few problems. 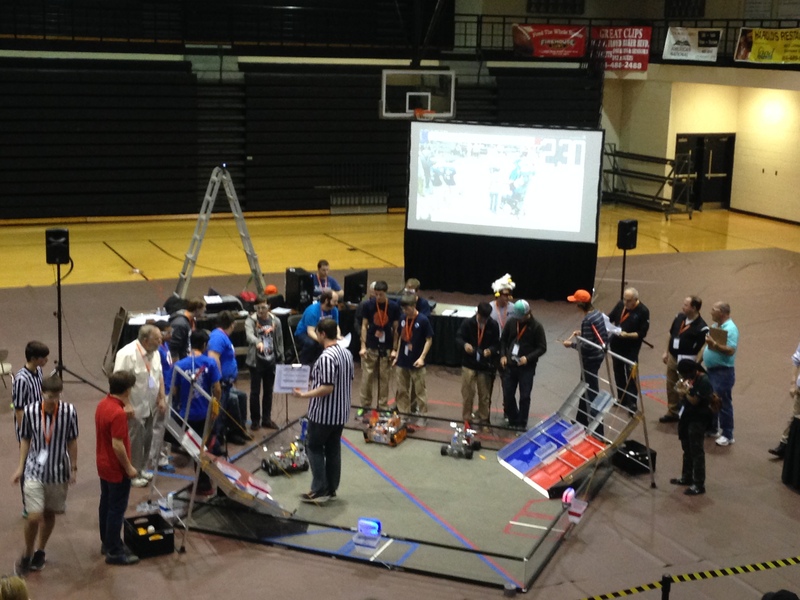 In our first match we were allied with team #3641 and were outscored 16 to 207. One of our motors had come unplugged, so we couldn’t do anything the whole match. In match two we were paired with team #327 and lost 86 to 102. We accidentally flipped over on the first churro while climbing the mountain. We managed to use our arm to right ourselves, but we flipped onto an opposing robot and got stuck for the rest of the match. In match three we scored 225 t0 57 with our partners team #10021. We accomplished almost everything that we wanted to, only missing the zip-line climbers. Match four was also a success. Our teammates from team #6170 helped us to score 224 points to 100, and we accomplished everything that we could do. Match five was weird. We and our teammates team #9460 scored 29 points compared to our opponents 11. Three of the Four robots crashed during the match, and the timer stopped working, so it was odd. We finished in 4th place overall and chose team #9460 Won and Done as our alliance partner. We swept the two semi-final matches, with our opponents hardly doing anything competitively. In our first finals match, both opposing robots crashed so we and Won and Done scored our maximum, winning 265 to 1. In the second finals match Won and Done’s robot crashed so it was all up to us. Even though our opponents did very well, we were able to carry our alliance to victory and claim the title of Robot Champions. We won first place Inspire Award and second place Think Award as well. 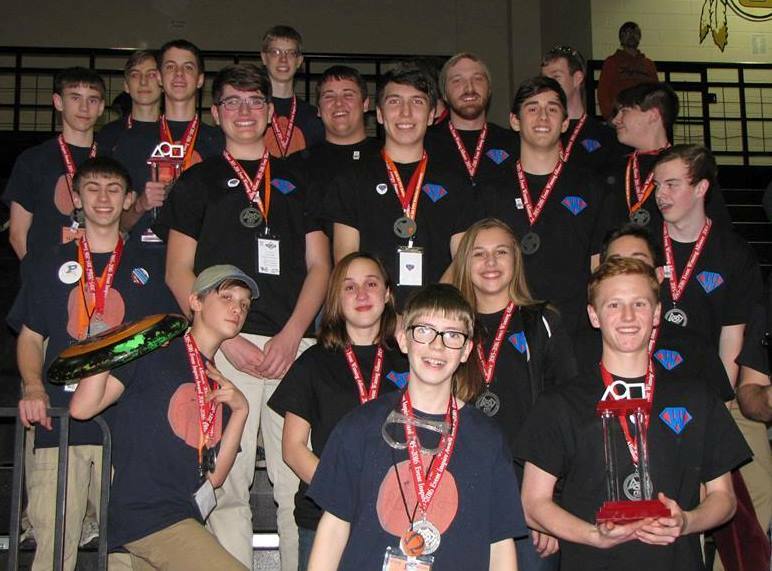 Won and Done won second place Inspire Award and joined us along with #8946 Chabotic in going to the South Super Regional.